You may have noticed a pause in our episodes being released – Sorry! Our studio is moving to a new house so we have had some recording delays while the kinks are being worked out. We are sorry to announce that Episode 30 will be delayed in its release due to the (un)expected arrival of the newest Fashion Hag in the Shumka household – Miss Poppy Campbell Shumka! We couldn’t be happier to meet her and we’ll get back to the swing of things after naps. There is no podcast this week due to an unexpected dose of life happening. Sincerest apologies to our listeners who were hoping for some Haggy diatribes, obsessions, and a bit of fashion talk (I guess). Don’t fret, we’ll be back on schedule in no time! The Fashion Hags Podcast is now live on iTunes. Subscribe now! Tell your bros, tell your hoes! 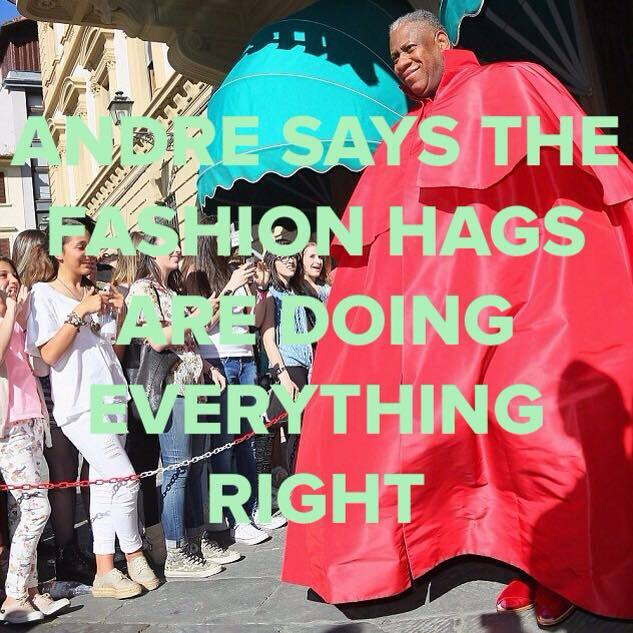 Welcome to the official blog of The Fashion Hags Podcast! This is the place to get all the links, images, topics, content, obsessions and other time-wasters that we chat about on the Fashion Hags Podcast. Keep up with your hosts, Evan Ducharme, Abby Shumka, and Katie Garnham here on the blog as well as Instagram (@fashionhagspodcast), on Twitter (@fashionhagspod), on Facebook and feel free to reach out to fashionhags@gmail.com for topics suggestions, good vibes, and secret recipes. Asshats, regardless of how on trend you are, will not be tolerated. Stay tuned for the release and follow each episode right here!